Want to learn how to paint with watercolours? Or perhaps, you’re just looking to buy some art. Ankita Namdeo, who goes by @thecolorful_world on Instagram, is who you should DM. Namdeo is a Pune-based artist who paints pretty pictures. From scenic landscapes to flowers, each stroke of her brush is easy to be in awe of her mastery. After all, she’s a self-taught artist. 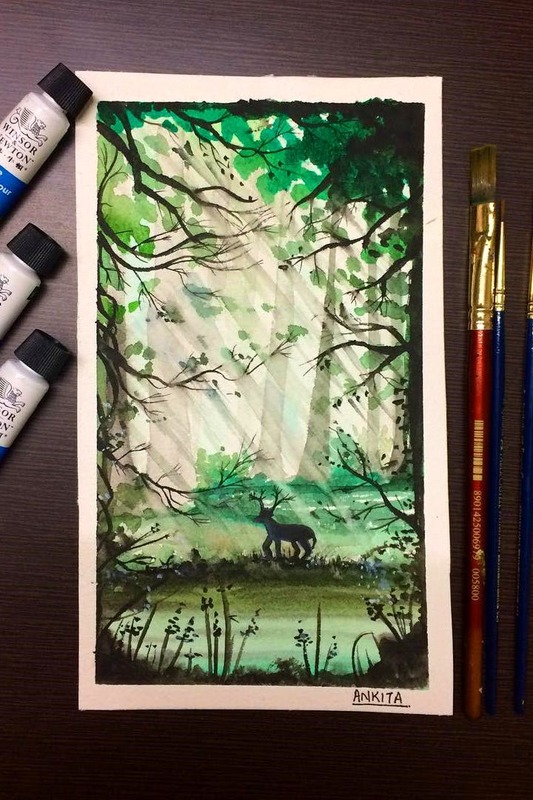 Carrying forward the patience of learning through practice, Namdeo also posts short tutorial clips on her IGTV, so you can learn to paint too. But if learning online isn’t your style, sign up for a workshop. Namdeo hosts painting workshops every month or so. So you can learn to paint in person. Bringing in 2019, Namdeo is selling easel board calendars. They’re small and cute and will look great on your desk at work. For INR 500 you get the board and the calendar and shipping charges are extra. Want to put up a scenic landscape on your wall? DM Namdeo and she’ll paint one in whatever size you need: big or small. Although we’d recommend you commission her to paint a range of small scenes. Imagine how cute multiple small frames would look on your wall! Starting at INR 300, you could get a city street, or a snowy landscape full of fir trees or perhaps a lovely flower with shaded petals. DM Namdeo to paint her city scenes, which will make for a great piece on your wall.